While the work it does is visually focused, the Building Facade Group prides itself on a multi-layered approach to designing striking yet sustainable building exteriors. Managing Director Sani Chang discusses the journey so far and what’s to come. An expert in building facade design, Sani Chang thinks of himself as a skin specialist of the construction world. “In the 1990s, we saw the emergence of specialist building consultancies to meet the demand for larger and more complex projects, which required skills beyond those of traditional construction companies. These developers aspired to great things and a higher standard of excellence. This is how the facade consultancy business came about,” he explains. In support of the tourism and hospitality boom in Singapore, within the past three years BFG has completed seven tourism and hospitality projects, including the Hotel Mercure on Stevens Road, InterContinental Hotel at Robertson Quay, Crowne Plaza extension at Changi Airport Park Hotel and RWS Hotel at Jurong East. Building on his extensive architectural and facade background, over the past 22 years, Sani has honed his knowledge and experience in the design and procurement of facade systems internationally. 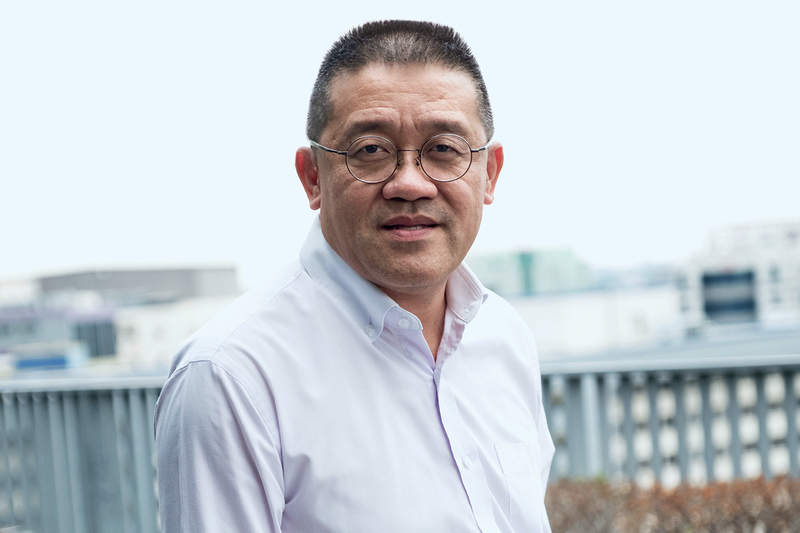 Tired of the top-down corporate structure and the industry’s slow recovery following the 2008 GFC, in 2010 Sani and his colleagues decided to take a risk and launch their own consultancy practice, the Building Facade Group (registered as HCCH Consulting in Singapore). A decade on, BFG has grown into a specialist consulting practice that offers world-class technical expertise in facade engineering to clients across Asia. As Managing Director, Sani is proud to say the Group quickly earned a reputation for excellence, reliability and quality, which in turn generated loyalty among repeat customers. Sani says competing against large, multinational engineering companies with limited capital is a challenge the company still faces. “Establishing ourselves in Indonesia and Malaysia would’ve taken a lot less time if we had deeper pockets back then. But in retrospect, it might have been a blessing in disguise that we moved cautiously and valued our capital more. It taught us to keep a keen eye on our finances and pick the projects that mattered the most,” he observes. BFG works closely with building owners, architects, engineers, general contractors and specialist facade contractors to deliver creative and practical solutions. “As a key member in the facade design industry, we are known to be fair, competent and an honest broker. Supportive partnerships are the backbone of any long-term sustainable business,” explains Sani. 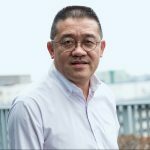 BFG has built a powerful portfolio by working with influential clients such as CapitaLand, YTL Corporation, OUE, and RMZ Corp.
BFG is responsible for the Singapore’s landmark MediaCorp Campus. A standout with its flowing stainless steel panels, its smooth exterior takes on an ever-changing appearance by reflecting the changing skies. Standing at 77 metres tall and 240 metres long, the 12-storey state-of-the-art building has essentially been turned on its side – home to corporate offices, recording studios, television and radio broadcasting facilities and a 1,500-seat theatre. With rising populations and workforces, particularly in Asia, Sani believes it would be contradictory to reduce manpower and increase automation in the construction industry. “The traditional architect in me advocates that we cannot simply create masterpieces digitally – it still requires heart, sweat, tears, occasional inspiration and a professional touch,” he argues. BFG remains heavily involved in the later stages of construction, offering advice and technical review of materials, engineering accuracy and design. Sani and his BFG partners have built their company on an extensive understanding of development concepts, budget planning, material availability, design principles and building maintenance. “What we sell is good advice. It’s the kind of advice you can’t Google because it’s based on years of first-hand experience and, ultimately, it’s friendly advice that leaves our clients eager to call us again,” he says. Sani continues, explaining that a lack of properly skilled young people entering the construction workforce presents a serious problem. “Graduates are not keen to specialise, and hands-on experience in facade design is a vital criterion for us. Over the next few years, one of our goals is to find young people who are interested in our work, who have the skills necessary to succeed, and who are willing to earn their place as a senior leader at BFG,” he says. “In the long-term, we are hoping to enhance our regional influence by establishing an office in the Indo-Chinese sphere of either Vietnam or Thailand. This will mitigate the risk of seasonal demands in specific countries and establish our reputation as a facade design specialist throughout the region.